Get the latest updates and breaking news alerts. Thank You to Medtronic for your support. At this time, the Florida Society of Physical Medicine and Rehabilitation Board of Directors has decided to make great steps and strides in helping young physiatrists to start and manage their practices. This is one example of why a physiatrist graduating from a residency training program or a new physiatrist coming to the State of Florida should become an active member of the Florida Society of Physical Medicine and Rehabilitation (FSPMR). I have been in practice approximately 29 years and I have seen changes in the private practice of medicine, the laws, regulations, and changes in physician monitoring. Every year it seems to be a little more difficult to practice. One of the benefits of being a member of the Florida Society of Physical Medicine and Rehabilitation is to receive the quarterly newsletter, Physiatrist's Voice, which is designed to keep physiatrists in the State of Florida up to date on changes in laws, rules and regulations, which in turn will help physiatrists be aware of the current pitfalls in the private practice of medicine. One of the new vehicles contained in the newsletter will be the Florida PM&R Pioneers. In order to be a Florida PM&R Pioneer, the physician has to be a current member of FSPMR and has to have a minimum of 20 years of experience. If you have a minimum of 20 years of experience and you want to share your knowledge, training and experience with new FSPMR members, please submit your name and area of expertise to C.Lichtblau@chlmd.com. A special thanks to FSPMR's Board of Directors who have volunteered to be Florida PM&R Pioneers (with the exception of a couple of our younger members who have not yet practiced 20 years!). Florida PM&R Pioneers would not be expected to advise or guide specific patient care (i.e. curbside consultations on specific patients), or legal matters, but rather, to share pearls of wisdom on practice management and medically guiding the approach to patient care and physician education. Florida PM&R Pioneers will create bridges between the newer and the more experienced generation of Florida Physiatrists. This will make a lasting impact on the State of Florida's healthcare for PM&R patients. Florida PM&R Pioneers will advance the professional growth of younger colleagues by providing guidance in a rapidly changing healthcare environment in our state. Florida PM&R Pioneers will share many years of valuable clinical knowledge to the younger generation. Once you contact me (C.Lichtblau@chlmd.com) your name will go on the list of Florida PM&R Pioneers. The list will be printed in the next quarterly newsletter and young physicians and new physicians that are starting practices will have the ability to contact you. 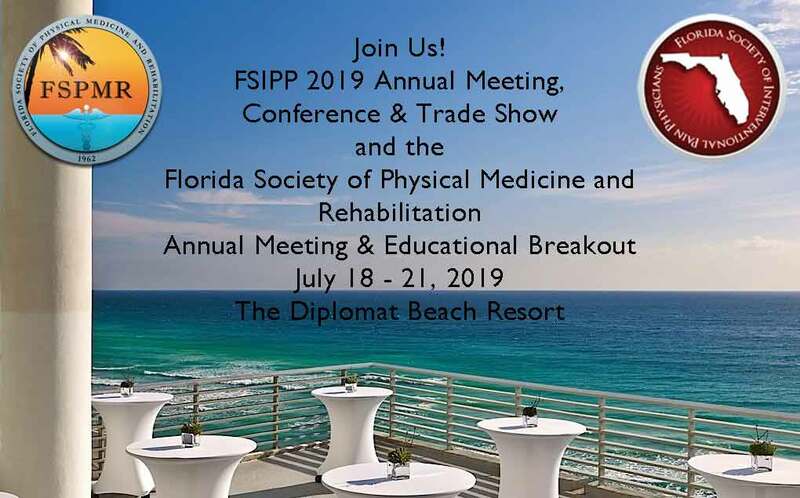 It is very important for members of the Florida Society of Physical Medicine and Rehabilitation to inform physiatrists who are non-members that there are great advantages of becoming a member of the FSPMR and this is just one example. We have begun a Member Spotlight this issue. 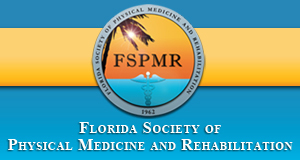 There are plans to start an additional new section of FSPMR's newsletter which will include rehabilitation research going on in the State of Florida. And we always include updates from the three residency training programs that are in the State of Florida. We are aware there is a fourth PM&R residency training program which has begun their first year at Memorial Healthcare in Hollywood. By this time next year, we plan to include updates from their program as well. Please be advised that the invoices for 2019 dues will have gone out by the time this newsletter issue is published. You can go to the Florida Society of Physical Medicine and Rehabilitation website and you may pay your dues online here: http://www.fspmr.org/join-renew-payment.html. Please, everybody pay your dues as soon as possible so our transition into 2019 will be seamless. The Happiest of Holidays to Everyone! GET INVOLVED WITH YOUR PROFESSION. Login to see what your society is doing for you. Here, you can stay informed on what FSPMR is doing to advance our profession. Latest Board Meeting minutes are also available. FSPMR offers information to help the pateint make an informed decison, with latest news you can use. FSPMR is putting out a call for authors to submit pertinent educational and informational articles which can be posted online. Articles will be posted in our quarterly newsletter and/or web site.